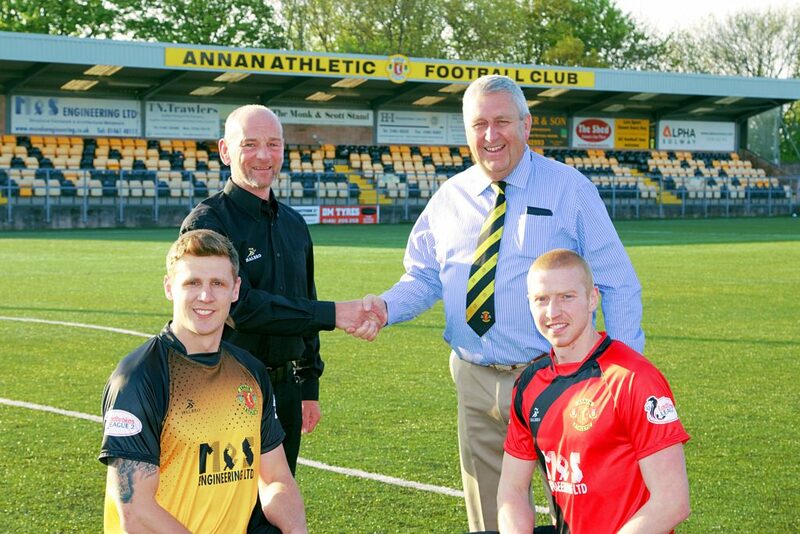 Annan Athletic FC are delighted to announce that we will be wearing Halbro kit for the forthcoming Ladbrokes League Two season. Halbro Sportswear specialise in the manufacture of bespoke sports kits enabling SPFL club Annan Athletic FC to create 2 unique designs for their Home and Change kits, with the fans help as they voted for the Viera red/black change kit. Annan Athletic FC Chairman Philip Jones with Halbro Sales Manager Nigel Beaty. Players Peter Watson and Stephen Swinglehurst model the 2018/19 Home and Away/Change shirts. Halbro Sportswear based in Lancashire have been manufacturing Sportswear for almost 100 years. 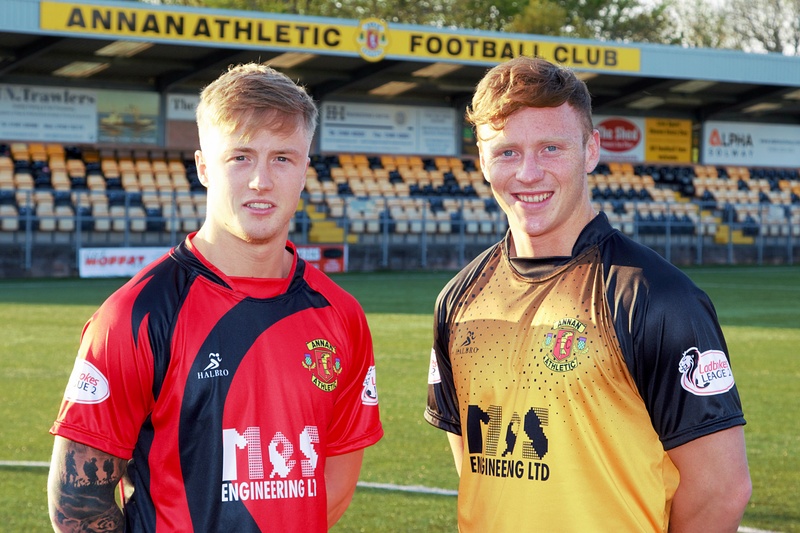 Aidan Smith and Scott Hooper showcase the home and away kits.